Boston, Massachusetts, May 1, 2015– A day like today is what makes our national pastime so special you cannot write a script on any baseball season. Baseball season is the longest season in sports with a 162-game schedule. It can be exhausting to say the least. But Friday night showcased why baseball is such an emotional rollercoaster not only for the fans but for the athletes as well. Alex Rodriguez has been the center of controversy for the past two seasons. In 2013, his season was shortened due to a hip flexor surgery. On top of that, he had surgery, and he was the face of a scandal that suspended several players for 50 games, including league MVP at that point Ryan Braun of the Milwaukee Brewers. After serving a year suspension for using steroids a second time, A-Rod’s career was in jeopardy and everyone questioned whether A-Rod will ever be “A-ROD” in 2015. It seems like Alex has really taken into consideration that the game he loves was almost taken away from him because of his naïve and poor decision to use performance enhancing drugs. This new Alex is different. He seems to be more humble and gracious for not only being gifted to play the sport but being able to play after a year off. Many athletes are not able to take a year hiatus from a sport and return with a bang. 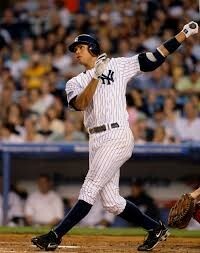 But A-Rod has been able to show his bang with the bat at 40 years old. Looking like he never left, Rodriguez had a memorable month of April with the Yankees so how will he start off May? He started off by pinch hitting his way into the record books. In the 8th inning of a 2-2 game against their rivals, the Boston Red Sox, A-Rod came through in the clutch to hit the 660th homerun of his career. With his 3-0 solo shot, he tied the “Say Hey Kid” Willie Mays, for fourth all-time on the homerun list. It was one thing to tie Mays against the hated Boston Red Sox, but it was also great that the homerun helped the Yankees win. It was Rodriguez’s first homerun ever as a pinch hitter, and all that mattered was that he helped the Yankees win the game. When asked what he was thinking about when he swung at the 3-0 pitch, Rodriguez simply replied, “I was just thinking about a conversation me and Girardi had about being more aggressive and assertive when being ahead of the count, so I just swung aggressively”. After all the interviews Rodriguez attended, he stood on the field of an empty historic Fenway Park gazing emotionally into the stands. Reflecting on his career and all that he has attained in the last 20 years of playing in the MLB, Rodriguez seemed to be letting all that sink in. He seemed to be grateful for getting a second chance after his suspension to not only play the game he loves but play it at a high level. With more milestones left to accomplish this season, this is the first of many that will not only test A-Rod’s respect for the game, but also who he has become since his one year hiatus. Next Story → THE DARK KNIGHT (Harvey) WINS–AGAIN!